You command two armies in parallel universes. You can only issue the same commands in both universes, even though the circumstances may differ. Your goal is to steer each ship to a planet in both universes. Once you have given commands, press “Execute” to make it so. This is our entry for Global Game Jam 2015. 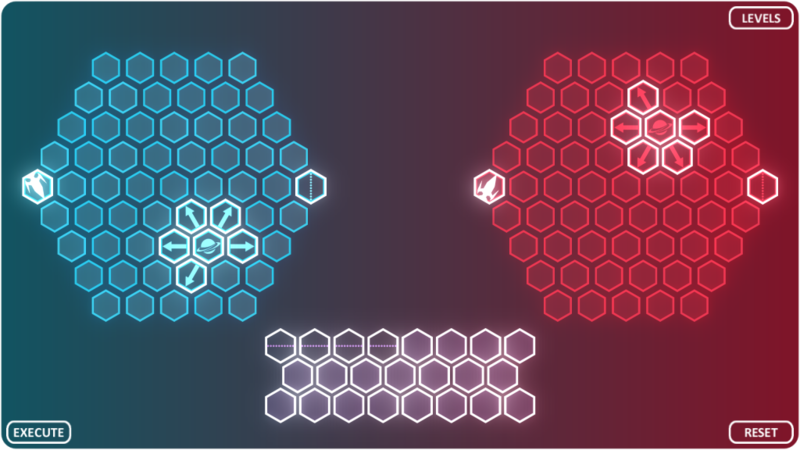 It is a puzzle game where you need to solve two different puzzles using the same moves. The aim is always the same; get your spaceship to a target. However, the puzzles vary in what directional pieces are available to you, where each of the spaceships start, where their targets are, and how the starting pieces on the boards differ (in type and position). During the game jam we created a level editor to speed up the process if making levels. Since then we have made a few more levels and worked on the editor to make level design more efficient. Follow us on Twitter to stay updated on our progress (@gamelogicza).